Session Description: This panel gathers presentations that seek to destabilize and traverse cultural and disciplinary boundaries from a variety of perspectives. Amy Beingessner points to the construction and reconstruction of the myths of cohesive identities, speaking particularly to question efforts to reproduce notions of authenticity for the making of cultural heritage. Building upon this line of questioning, Soheila Esfahani and Gregory Elgstrand open up the spaces between multiple cultures and disciplines as new sites of knowledge production that are receptive to subjective imagination and improvisation. Session Description: This panel considers performativity as a strategy, a method and an outcome through an investigation of specific art and curatorial practices. Shauna Janssen will consider the notion of “performing encounters” through a consideration of her own, situated, curatorial practice. Victoria Mohr- Blakeney interrogates performance through the medium of dance. Her investigation addresses related concerns of the archive, memory, space and issues around the re-performance of dance. Workshop Description: Easily overlooked, the doodle turns up wherever more deliberate marks are made, often finding its home in marginal spaces. It is tempting to classify it as a cousin to the sketch, or a kind of precursor to the cartoon, but the doodle resists comparison to other forms of visual culture, always at the periphery of art, craft and writing. Session Description: The presenters on this panel speak to the questions of process and response when layers and acts of production are engaged. Most especially, they are asking what we do when we encounter whatever it is we encounter when we are in between known practices—when there is an exchange afoot of an indistinguishable quality yet active as an amalgam. A matter of (de)materiality and performance, of objective and reflexive entanglement, of politics and aesthetics, the negotiations are at play with a multiplicity of potentials and the fluid power of interpretability. Of critique, of protocol, of expectation, whether they emerge from institutional settings, ritual, affective response… the analysis of relations of power are inherent to all engagement as a meeting or a blending of forces. To move within a context of autonomy and its implausibility, where co-option is a rule not the exception, to break from power or to at least to disrupt dominance these projects encourage readings and re-readings of a dynamics of differentiation. Session Description: Arriving from various personal and disciplinary perspectives, Kendra Ainsworth, Deborah Margo, and Geneviève Wallen will discuss the roles and responsibilities of participants within and surrounding the contemporary art discourse. Occupying multiple roles that include those of an artist, curator, writer, educator, student, settler, and/or gardener, their interests are centered around the relationship between the identity and positionality of cultural producers and their contribution to the public discourse of art and culture. This open roundtable discussion is aimed at exploring and questioning the place of personal identities within cross-cultural dialogues. Workshop description: This workshop presents the Comics History Special Collection and the Donald F. Theall Special Collection as part of Siroyt's project, the Mobile Special Collections and Rare Books Reading Room. The aim of the workshop is to discuss the interplay of disciplines, art forms, and fields of study, using the books in the collection to explore the themes of the conference. The workshop begins with an overview of the scope of the collection, including a display of some of the selected items included in the installation. From the Comics Collection this includes original comic artwork by cartoonists such as Charles Burns, Chris Ware, Seth, Chester Brown, Adrian Tomine, & Marc Bell, and rare & relevant comic books from the Comics History Special Collection, some of which prominently features the town of Strathroy. From the Donald Theall Special Collection this includes Theall's annotated copy of Joyce’s Finnegans Wake and many other relevant titles that demonstrate his devotion to interdisciplinary study. Theall was a professor at University of Toronto, President of Trent University, and a colleague of Marshall McLuhan. His work explored avant-garde media concepts, and he published a book titled “The Virtual Marshall McLuhan” and a book called “James Joyce’s Technopoetics”. On hand will be cartooning supplies such as pigment liners of varying widths, brush pens, paper, etc. and the workshop will conclude with participants creating comic work under specific parameters responding to the holdings of these collections, pulling images and text from them to generate comic-literary work that demonstrates the themes discussed. This workshop aims to upset the traditional notion of the rare books reading room as a staid space in which the holdings sit dormant. Here it is dynamic and generative, flexible and mobile, and contravenes traditional museum policies by installing a Rare Books and Special Collections Reading Room on-site at the conference. Session Description: A glitch disrupts the normal functioning of a code system. Glitch Art embraces the visual style of the glitch for various conceptual and aesthetic reasons. Increasingly, theorists are turning to the analysis of glitch and glitch art as a productive failure that challenges existing systems and strategies of organization in the digital age. This panel, featuring presentations that critique and rework the contemporary study of glitch art, might be thought of as a glitching of glitch. The papers presented here share an interest in rethinking glitch theory and the possibilities that glitch art offer. Session Description: From the notion of the Lacanian ‘gaze’, this panel aims to explore contemporary mechanisms of reviewing, returning, and subverting this ‘gaze’ in art practice. Frances Dorenbaum, Julia Havard and Jamie Ranger will speak to acts of witnessing and the ethics of spectatorship as audiences are confronted with the marginalized body in contemporary photography and performance art. Their presentations will enable discussion of how artists invite, control, combat, or reflect awareness of the gaze, be it male, colonial, and/or sexualized encounter. Instructors: Mat Laporte, Sarah Pinder, and Yosefa Raz from the Contemporary Poetry Research Group. Workshop description: Is there an ekphrastic impulse at the heart of criticism and aesthetic theory, a desire to describe objects of interest and rematerialize art? The Contemporary Poetry Research Group (CPRG) seeks to explore this question in a workshop designed to break down or permeate the relationship between spectators and art objects. In doing so, the project suggests ways that writing might intervene and transform art objects into critical feedback mechanisms. The workshop embraces ekphrasis’ fundamental fusion of writing and art, but also inverts, interrogates and moves beyond this traditional descriptive relationship between art object and textual mediation. Following an introduction of the potential for ekphrasis as a critical mode of engaging with art, the workshop will present a series of practical exercises designed to facilitate collaboration between visual artists and poets/writers. Participants are invited to bring existing material, but will also be encouraged to generate new individual and collaborative work through the exercises. with Brendan Fernandes, Keynote Performance presenter and a nationally and internationally recognised Canadian artist of Kenyan and Indian descent. Session Description: Brendan Fernandes’ interdisciplinary practice considers identity as in-process and transitional. His more recent works (of which Encomium is an example) continues this investigation, but through the medium of dance. In Encomium, multiple disciplinary practices intersect in the gallery space as text, linguistic devices (morse code), space, dance, performance, and the body all work towards a queering that is activated through a practice of art’s edges. Translation and embodiment as queering methodologies become a part of both the investigative tools and outcomes. Our three participants will use his work as an anchor from which they will consider the productive overlapping, situating angles of sight and the sensorial, citation and the referential, and the site in space, place, and time as expressed through the medium of performance art. Session Description: The panel will open up questions and discussion about the adoption of the unintended, the out-of-place, and the easily overlooked as viable methodological processes for meaningful, productive and perfectly imperfect boundary making. These processes represent interventions into established academic institutions and, often through experimentation and play, disrupt existing conceptions of what it means to do intellectual work. Session Description: As the final session of Multiple Li(v)es of Art/ists &... we invite all conference participants and attendees to join us for a roundtable plenary. 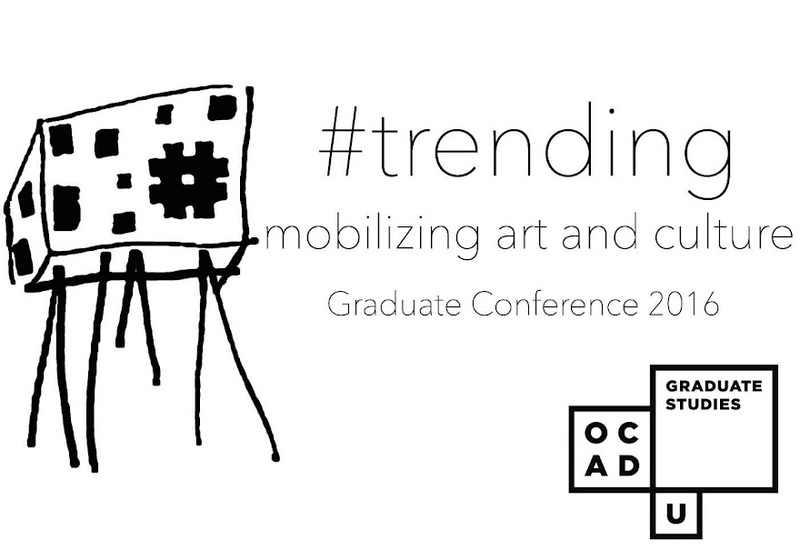 This roundtable will consist of scholars selected from OCAD University’s esteemed Graduate Studies faculty. Faculty members have been chosen for their respective expertise in disciplines including art history, curating, design, performance and new media studies. The roundtable members will respond to the day’s discussions, facilitated by questions and comments collected in a ballot boxes throughout the conference proceedings. This session will act as a concluding discussion on pertinent threads and concerns surrounding “art’s edges” as foregrounded by conference participants and attendees. Thanks a lot for sharing this conference schedule! Well, I know that I am quite late to reply here but I had attended this conference in March. You know after this meeting, I arranged my annual meeting at the same meeting rooms where your conference had been held.